Table. Demountable frame. 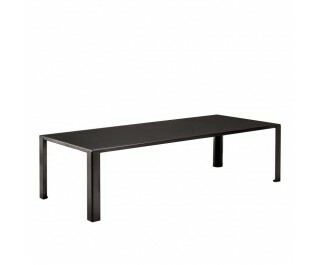 Top and legs 100 x 100 mm in bent natural sheet steel. Black phosphatized finish, final fixing with bees’ wax.. Available on request copper black painted version, +15% price increase.